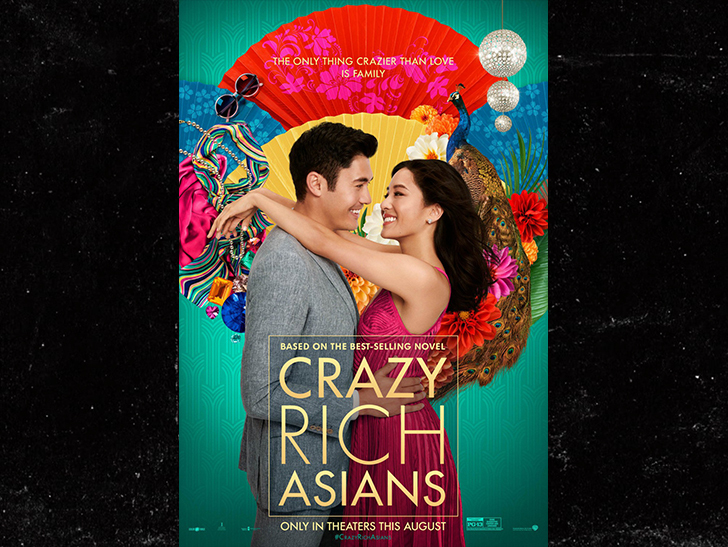 If you think you're excited about the inevitable sequel to "Crazy Rich Asians," you've got nothing on Singapore ... because its movie industry is poised to rake in a fortune from the next installment. A rep for the Singapore's Infocomm Media Development Authority tells TMZ the first film was a huge boon to the nation's minuscule movie biz. Much of the flick -- which was shot on a relatively small $30 million budget -- was set in Singapore, and producers hired more than 300 local actors and crewmen to work on the flick. Now -- after banking close to $100 million at the box office in jus t the first three weeks -- Warner Bros. is reportedly moving forward with a sequel likely based on the second book in author Kevin Kwan's trilogy, "China Rich Girlfriend." CRG will no doubt command a budget many times larger than the original ... meaning more actors, more crew and millions of more dollars for the Singaporeans involved in the film. It may not mean much to Singapore's citizens as a whole -- the seventh wealthiest nation in the world -- but it's pretty good for the island nation's "industry" folks, who have reportedly supported a grand total of about 70 movies over the past twenty years. It may be their time to get some crazy riches of their own.